After wearing eyelash extensions for about two weeks, you should be able to see some of them falling off naturally. If you still wish to continue wearing the lashes, you can go for a refill at the spa where the lashes were applied. If you want to take them off, there is a better way to remove them without ruining your natural lashes. Never make any attempt pull off the lash extensions, it will not just be painful but will damage both the lash extensions and the natural lashes. Considering the fact that lash extensions can be worn more than once, you would be doing yourself a lot of injustice by ruining them after only wearing them once. To safely remove lash extensions, you will need to wash off every other makeup on your face, leaving out the eyes. 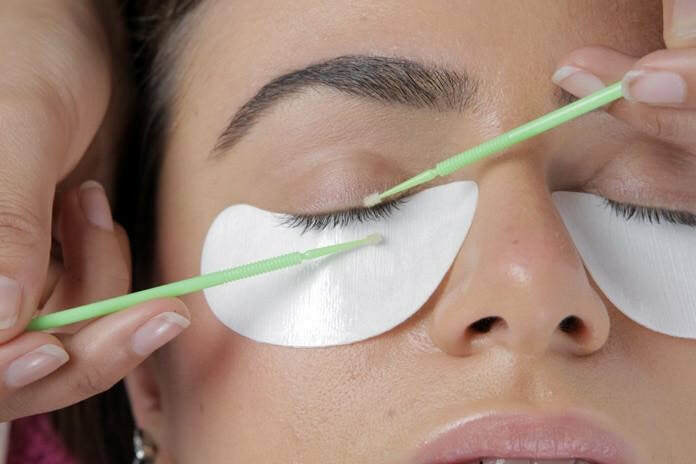 If you have a steamer, you will use the steam to loosen the glue that was used to stick the lash extensions. If you do not have a steamer, you will take a bowl large enough to cover the facial region and put hot water. Drape a towel over your head to ensure that as much steam gets to the lashes as possible for about five minutes after which you will remove the lashes starting from the outer region. If you discover that the lashes are still stuck firmly, steam some more until you are able to remove them without much effort. You can also use a makeup remover to get the lash extensions off. You will take a cotton ball, dip it in the makeup remover and then move it gently at the base of the lashes. Repeat this process until the lashes are loose enough to remove without causing damage to the natural lashes or the lash extensions if you will be using it again. Having a professional work on your lashes is the best decision as it will assure you of the safety of your eyes, natural lashes, and the lash extensions as well.